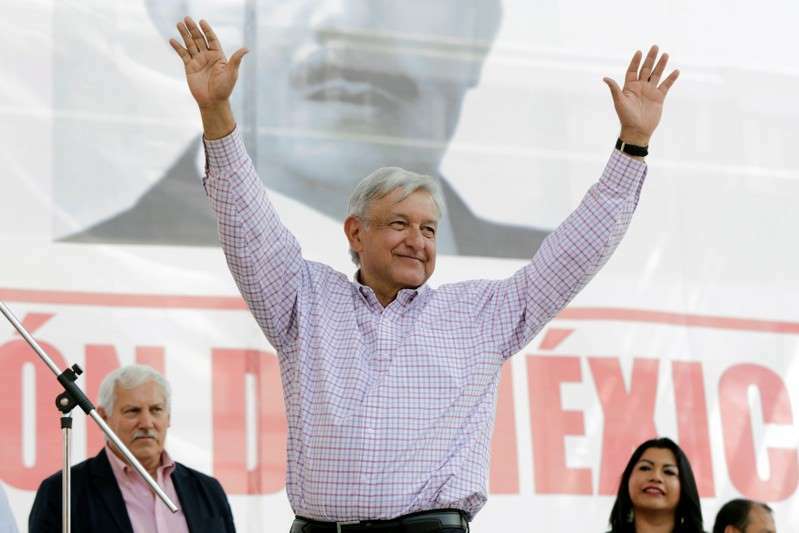 Mexican President-elect Andres Manuel Lopez Obrador chided the media on Wednesday for questioning his health, saying he is "totally healthy" five years after suffering a heart attack and recent unconfirmed reports of back pain. The 64-year-old leftist is set to take office in December following a landslide election victory in July in his third bid for the presidency. "This conservative press takes things out of context, to say the least, or lies," Lopez Obrador said at a news conference. "Now, for example, there's a frenzied campaign saying that I'm already getting feeble, that I'm sick. I'm 100 (percent), I'm totally healthy," he said. Lopez Obrador accused the media of using old medical reports to paint a picture of ill health. He acknowledged he had been sick in the past but that he was alive and well. The former Mexico City mayor suffered a heart attack in late 2013. More recently, he confirmed a visit to a cardiac specialist this month that he described as routine and successful, but only after photos of him leaving the medical facility were published on social media. On Tuesday, prominent Mexican journalist Carlos Loret de Mola, citing anonymous sources, reported that Lopez Obrador has suffered from severe back pain and opted for a procedure to prevent some nerves in his neck from feeling pain. "In Mexico, unfortunately, there isn't a culture of making transparent the health of our presidents," Loret de Mola wrote in El Universal newspaper. For his part, Lopez Obrador sought to put any speculation about ill health to rest, saying with a smile that he will be around "for many years to come."